The most common question that customers ask us at Avan NSW when buying their first caravan is which caravan should I buy? A second hand or new caravan? Indeed, even seasoned travellers often think about the value they may gain from investing in a used caravan. As you retire and set out on the next exciting phase of your life, you need an affordable and reliable caravan that won’t leak or break to ensure your trip is enjoyable. 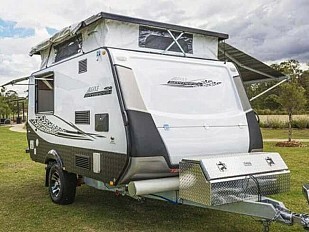 Whether you’re a first-time buyer looking for your first caravan, a travel enthusiast keen on exploring a range of options in small caravans for sale in NSW or a more seasoned traveller looking for a 500 Series Pop Top caravan, read on to get the best advice on what your money can get you. What to buy: A second hand caravan or new caravan? Buying a used caravan makes immense practical sense for those first-time travellers or those on a budget. It’s may not be worth it to you to buy new caravan when a well looked after 10-year-old caravan can make the same trip for half the cost. With the money you save, you could start saving up for a new caravan in the future. There is no point of investing in a new caravan if you can no longer afford the holiday parks and popular destinations. How many people will it need to accommodate? Will it be just you two on your retirement travel? Are you a first-time buyer, just starting out on caravanning trips with your family? Do you have kids? Buying a new caravan indeed has the novelty factor but cleaning and maintaining it can be a huge task with kids running riot. There will be toys, crayons, and food spilled at places you can’t imagine, thus a second-hand caravan may be an option. If you’re not planning any long, large trips anytime soon, a new van may be a waste of money. If short trips are what you’re after, a used caravan would most likely be the way to go. Whereas, if you plan to hit the open roads for your retirement travel over a long period, a new caravan certainly makes much more sense. A used caravan still offers flexible finance repayment options and warranty. With cheap rates better than what banks can offer, Avan Finance offers attractive caravan finance so you can hit the road for your adventure in no time. It also boils down to personal choices. Do you prefer the thought of a new caravan over the affordability of a second hand caravan? 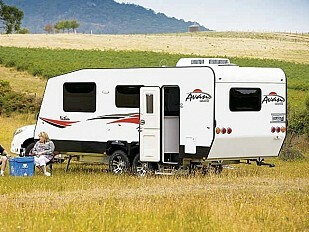 A new caravan or motorhome is of course great! Buying a new caravan indeed has its benefits like the latest safety features, customization, light-weight construction and less teething problems. Similarly, a used motorhome delivers a great bargain and significant savings too. However, buying a second hand caravan or motorhome can be risky! You can be lucky or you can be unlucky, you have to be cautious and really know what you want out of your caravan before you buy. Buying a second hand caravan from a reputable caravan dealer like Avan NSW offers you multi-fold benefits. With a plethora of choices in campers, motorhomes, large and small caravans for sale in NSW under one roof, you will be spoilt for choices. All our campers, caravans and motorhomes regularly undergo multi-point inspections giving you peace of mind that your next adventure won’t be spoilt by a bad buy. 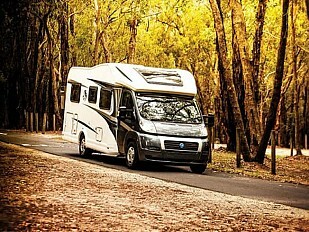 As leading caravan dealers in NSW, we ensure that buying a used caravan does not mean you need to compromise on quality. Our Penrith, Morisset, Nowra, Port Macquarie and Bathurst caravan dealerships have a wide range of excellent quality used caravans for sale in NSW as well as a great range of new caravans for sale. If you’re looking to buy caravan in Sydney, our expert team is ready to make your decision a profitable investment. Call 02 4721 2222 to schedule a visit today.